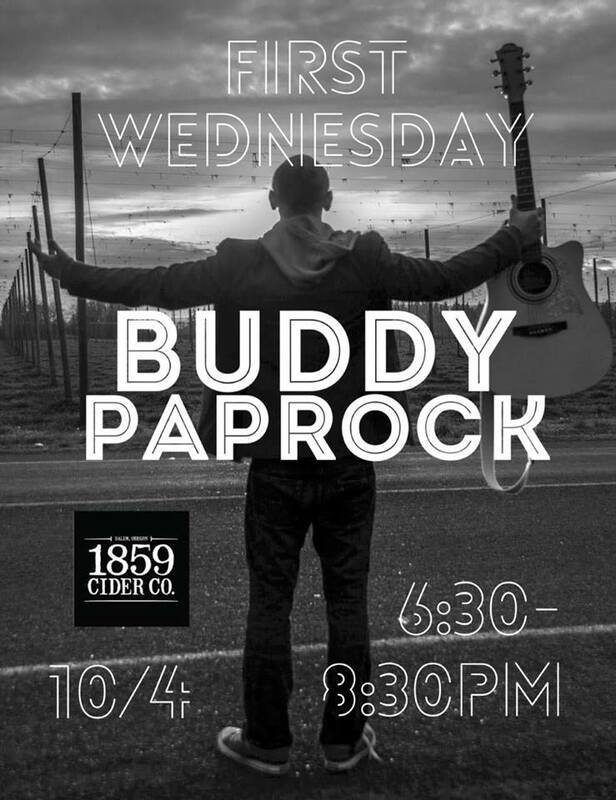 First Wednesday: Buddy Paprock! — 1859 Cider Co.
First Wednesday of October already?? 1859 Cider Co. will open early Oct. 4th at 4:30pm. Join us for Live Music from 6:30-8:30pm and try our new taproom menu! Born and raised in Oregon, Buddy Paprock brings us a catchy and unique style of acoustic tunes. Come experience the good vibes flowing through Buddy and into his music. Always a pleasure to host this Salem talent.